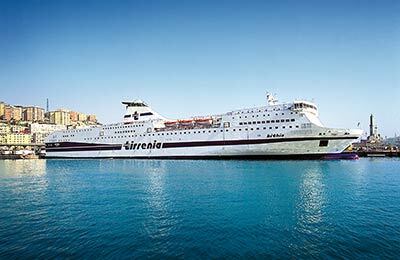 You can use AFerry to book a Tirrenia ferry to Croatia, Italy and Sardinia. 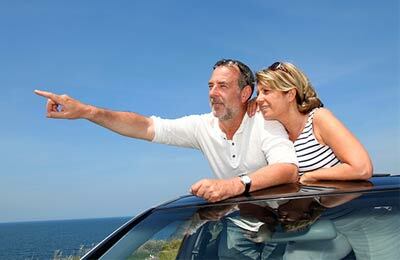 Tirrenia ferries offer something for everyone to make your crossing with them enjoyable and comfortable. AFerry always has the latest deals and special offers for Tirrenia ferries. 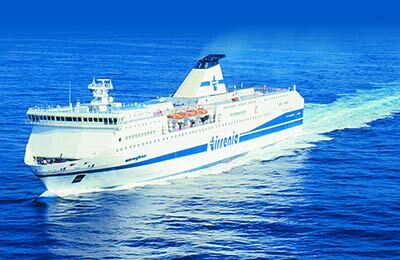 You can use AFerry to book Tirrenia ferries to Naples, Palermo, Porto Torres and many more. For all Tirrenia ferry routes and the latest prices and sailing times see below. Click on your ferry route for a detailed timetable with arrival and departure times. Most of the Tirrenia ferries fleet is composed of brand new fast super ferries that can travel at up to 30 knots, guaranteeing short and comfortable crossings on the Italy - Sardinia, Naples - Palermo, Cagliari -Palermo and Cagliari - Trapani routes. How long before departure should I arrive for Tirrenia? We were quite impressed with the ship and our on-board experience, cabins were great. The boarding process was unnecessarily complicated. Why tell people to come so many hours before they are allowed on board? Why not have clearer signage indicating when and where to go after one has checked in? The trip itself was smooth and the restaurant was good, if overpriced. Paguei primeira classe. Mas as acomodações foram péssimas. Poltronas desconfortáveis, não reclinação. Luzes acesas o tempo todo. Tv ligada sem necessidade. Ninguém assistia TV, só queríamos descansar. O local era de passagem. A cada três minutos alguém passava falando alto, pouco se importando com quem queria descansar. Ora, se é considerado primeira classe, deveria ser isolada de tudo. Péssima experiência.